United Yuma Firefighter's Association United Yuma Firefighter's Association shared a post. Brother and sister, the PFFA has been hard at work fighting for you !!! Take a few minutes out of your day to find out what’s new, most of this effects our members here in Yuma !! United Yuma Firefighter's Association United Yuma Firefighter's Association shared a Serious crash involving fire truck. Prayers to our brothers in Pheonix and to the family of the civilians affected by this accident. 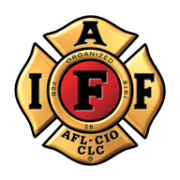 Organized and Chartered in 1956, the United Yuma Firefighter’s Association has been committed to the support and welfare of firefighters and their families for over 60 years. The UYFFA currently has 3 Chapters representing over 160 Firefighters from the City of Yuma, City of Somerton and the City of San Luis, Arizona. Committed to public service and public safety, the firefighters contribute countless hours of community service as well as public safety services to the communities in which they serve.